If you have been in pretty much any dollar store in the last month or so you have likely seen lots of bright orange light-weight pumpkins. El cheapo looking pumpkins. But, for some reason, they inspired me in a big way. I bought a couple of them and before I had even gotten out of the store, I knew what I wanted to do with them. Happily enough, they turned out exactly how I envisioned them! As you can see, I added some short twigs to make stems for my pumpkins. At first I added a silk leaf to the top, but removed it because I liked the starker look. Can I just say that I’m loving the white pumpkin look this year? 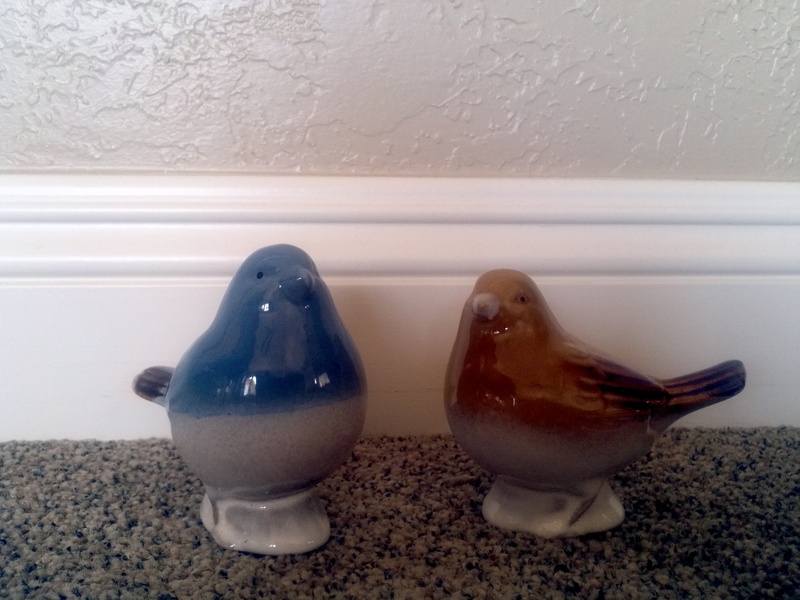 Truth be told, however, these could be made in any color… of course your paint color will dictate that. It would be fun to make gray or peacock blue or black concrete pumpkins, don’t you think? 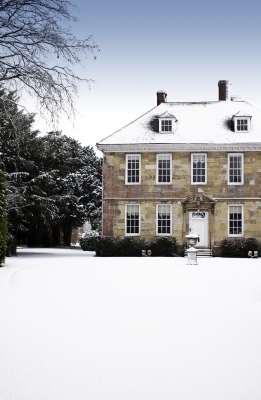 Isn’t it amazing how just a few items found in most garages can make el cheapo look high end? I’m loving my new pumpkins and plan to make several more in different sizes next year. So, what do you think? Are you still there, or are you grabbing the car keys and heading to your local dollar store to buy some pumpkins? I was FEATURED! What an honor! 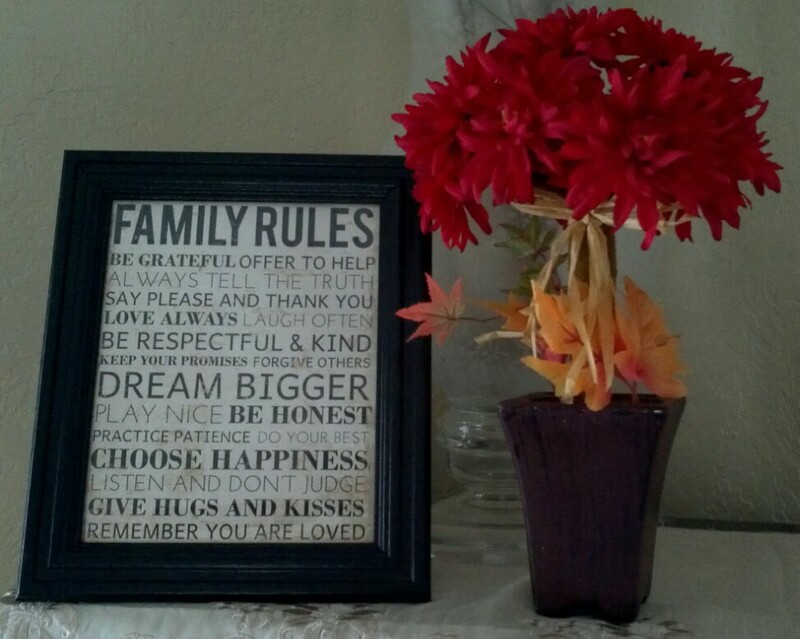 Great Ideas — 18 DIY Thanksgiving Ideas Part Two! This is what it looks like. My sister-in-law knows that I love this product and got me like 10 bottles of it when she saw it clearanced out. Thanks, Kinna!!! Now I can come up with all kinds of projects to make. Trust me, I’ve got ideas! 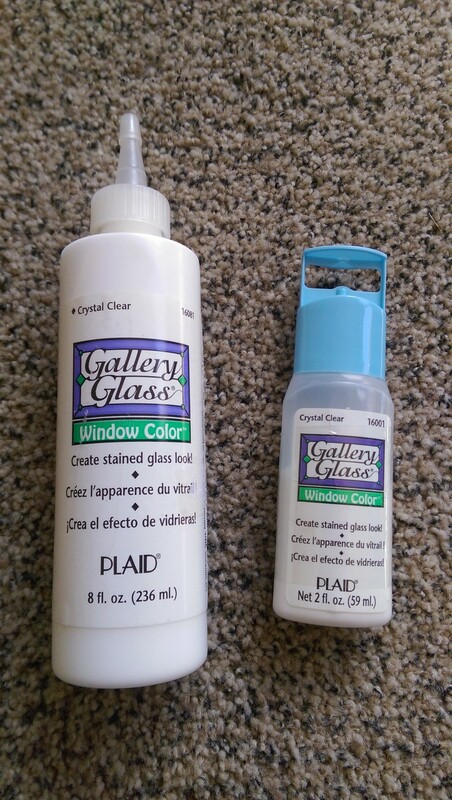 Oh, and lest you think that Gallery Glass sponsors me…nah. I’m not that cool. I just like this stuff! 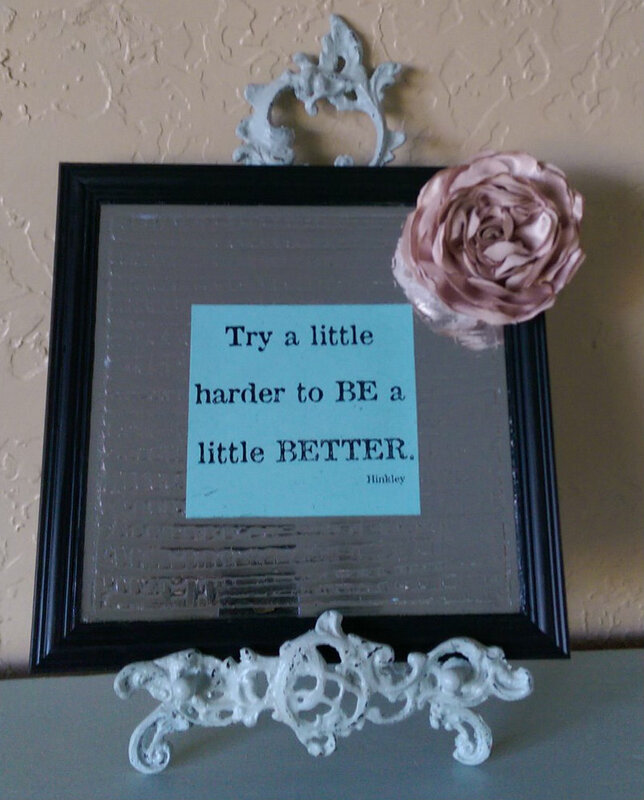 So, a couple of months ago I picked up a square framed mirror at the dollar store. I bought it with absolutely no idea what I was going to do with it. I like square stuff, remember? Today I was doing some organizing and came across my G.G. stash (thanks again, Kinna!) 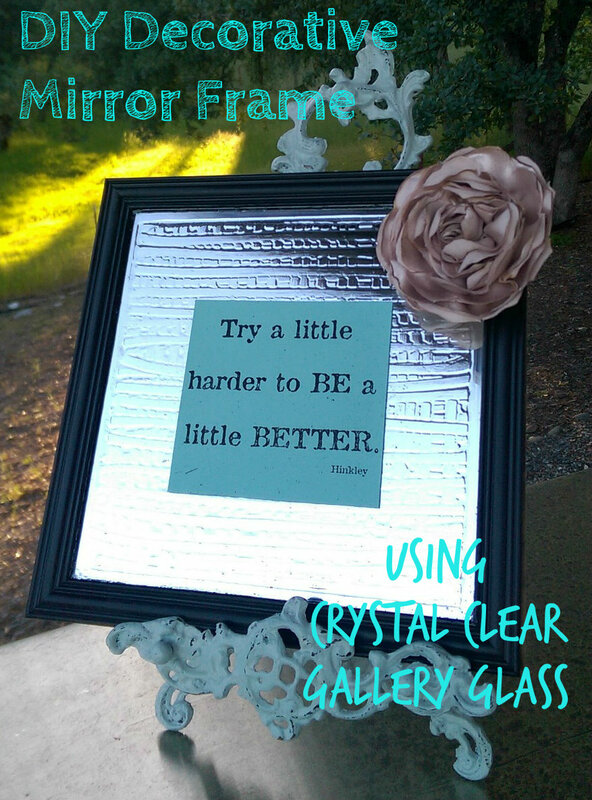 and immediately formed an idea of what to do with the square framed mirror. Want a sneak peak? 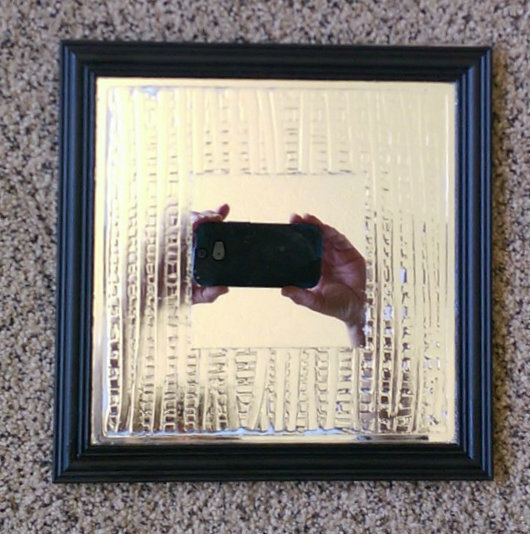 Question… have you ever tried to take a picture of a mirror? Not that easy, let me tell you. Just so you know! So, let me walk you through the process from dollar store to finished art. Ready? Let’s go! What it looked like when it dried. Easily scraped off if you want to go for a different look. It was ok, but not great, so I just scraped it off and started over again. No tears, now worries. Next try, I just smeared a layer of G.G. over the whole mirror. 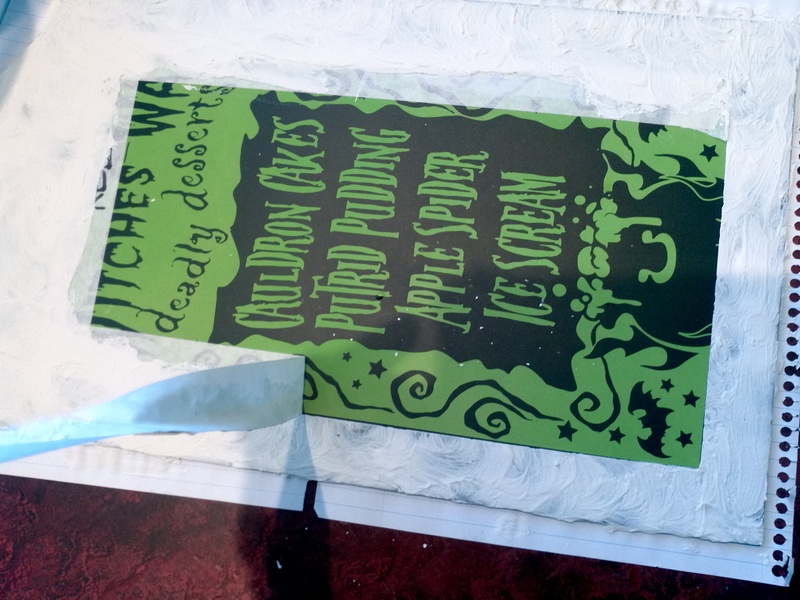 I didn’t really take any pics because I used my fingers to smear the stuff around. Messy. I used Q-tips to make my design. Basically, I just wiped vertical “stripes” and then horizontal. I truly wasn’t going for perfection, more of a playful look. Really, the sky is the limit when comes to the textured looks you can create with this product. 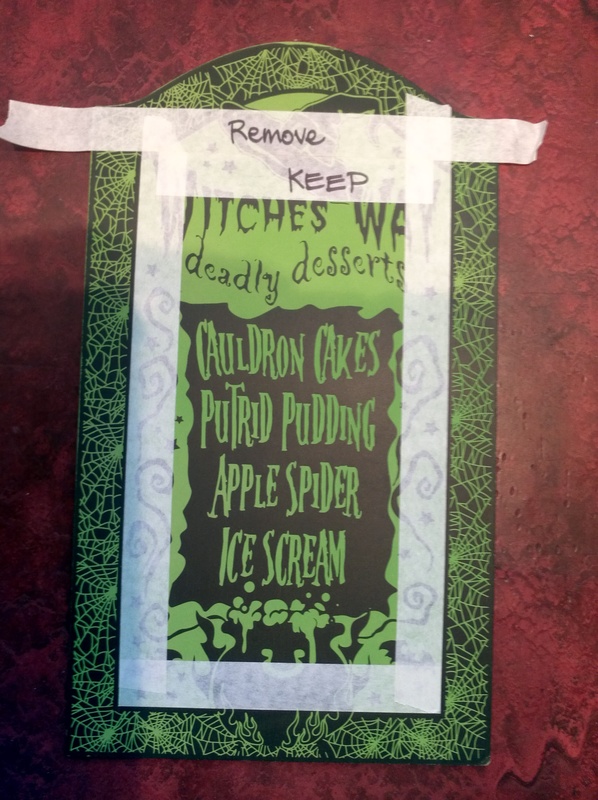 Important: once the product has dried, and before trying to remove the paper/tape from the center of the frame, make sure that you score around the paper with a razor so your awesome design doesn’t come up with it. Well, it was mostly dry at this point. See what I mean about taking pictures of mirrors? I actually like this shot because it shows the effect pretty well. Not perfect, but that is just fine with me. I wish you could see it in person. Don’t you just love this quote? 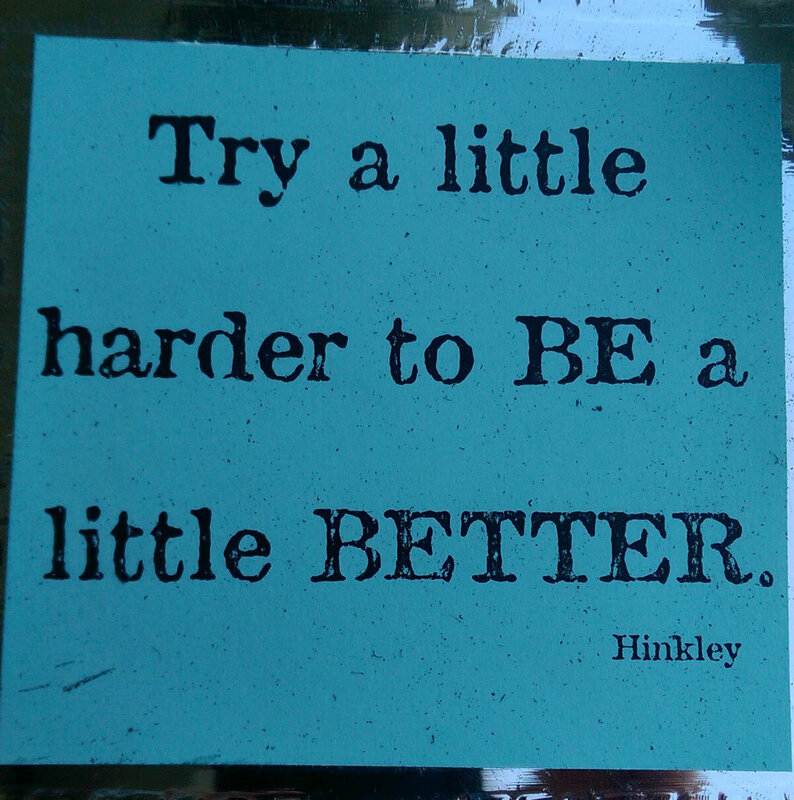 It is by Gordon B. Hinkley and I adore it. I just printed it up on aqua cardstock, cut it 4×4 inches, sprayed some spray adhesive on the back side and stuck it right in the middle. Go ahead and print it up for yourself, if you want to. Look closely at the cardstock. Do you like the spotted bits? 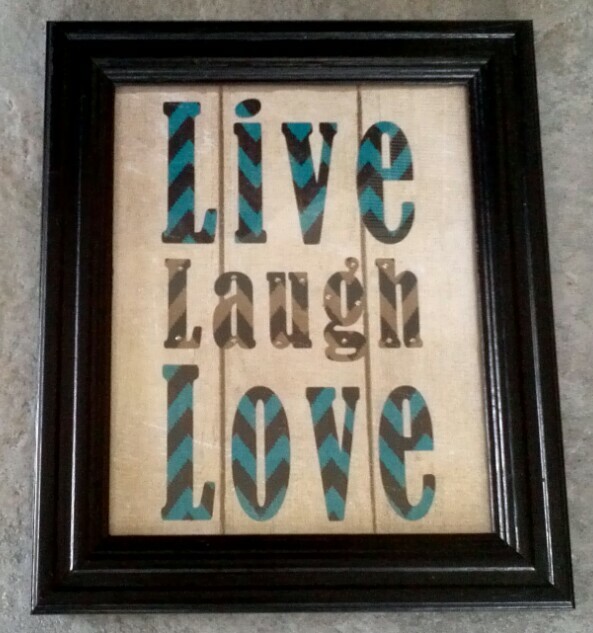 Kind of goes with the distressed font (Attic), right? The spots were a happy accident. 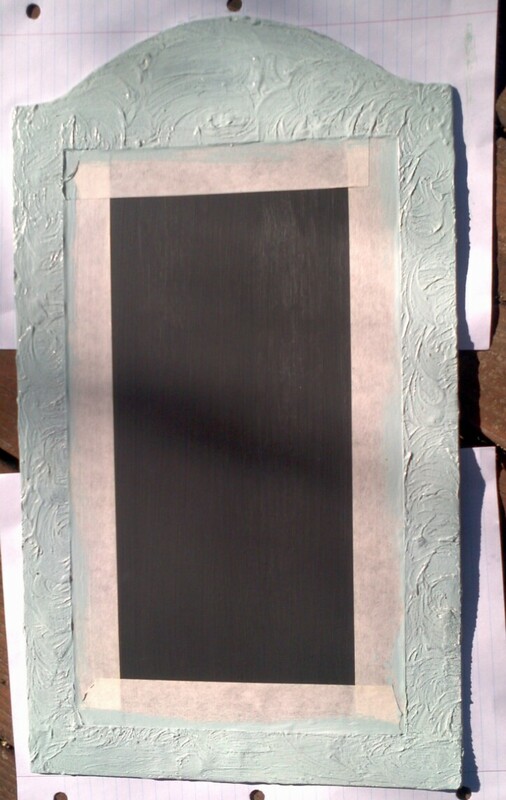 I tried to distress the frame a bit with sandpaper, but it didn’t really show. BUT, it got bits of black dust on the paper and I decided I liked it so I purposely added more, smashing it on with a paper towel. A-ny-way… it is done and here it is! Again, the little white bits are mostly dry. Ain’t nobody got time to wait! Oh, yeah. I added a satin flower that I made a while back and I like the way it looks. One more look? O.K., fine. Makes you want to run out to the craft store RIGHT NOW to get some Crystal Clear Gallery Glass Window Color, doesn’t it? Go! I want to see what you create! 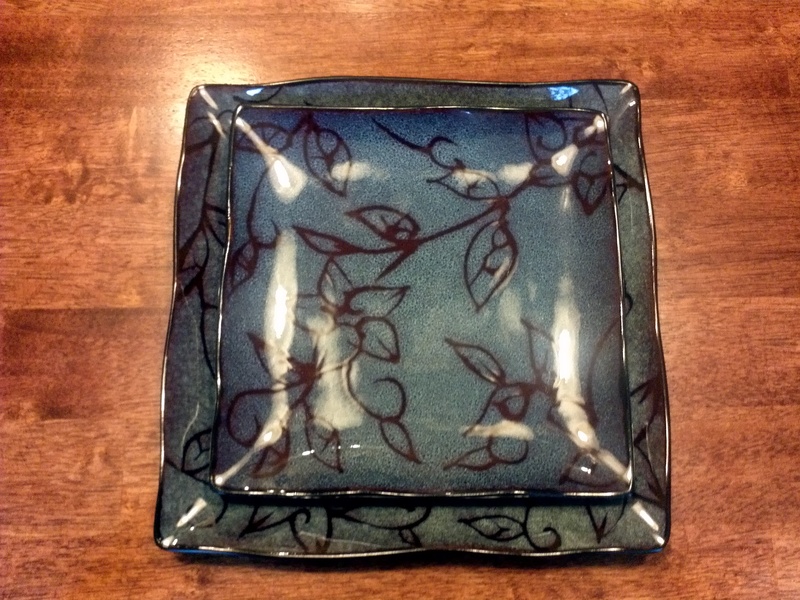 Our dishes are square. You got me! 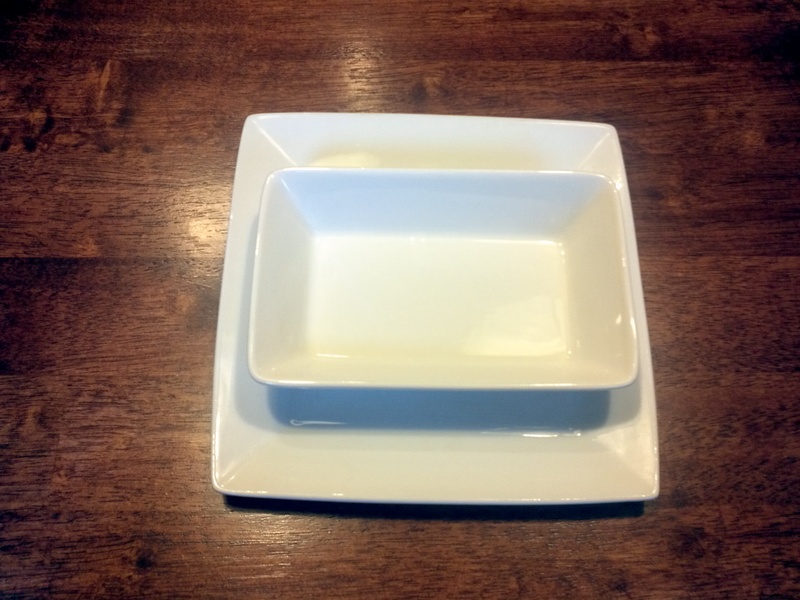 I know the smaller white dishes are rectangles, but in my little world, I categorize them as square…my kindergarten teacher would be so disappointed. Seriously, you should Google “foursquare architecture images”. You will need a rag to wipe the drool off of your face. 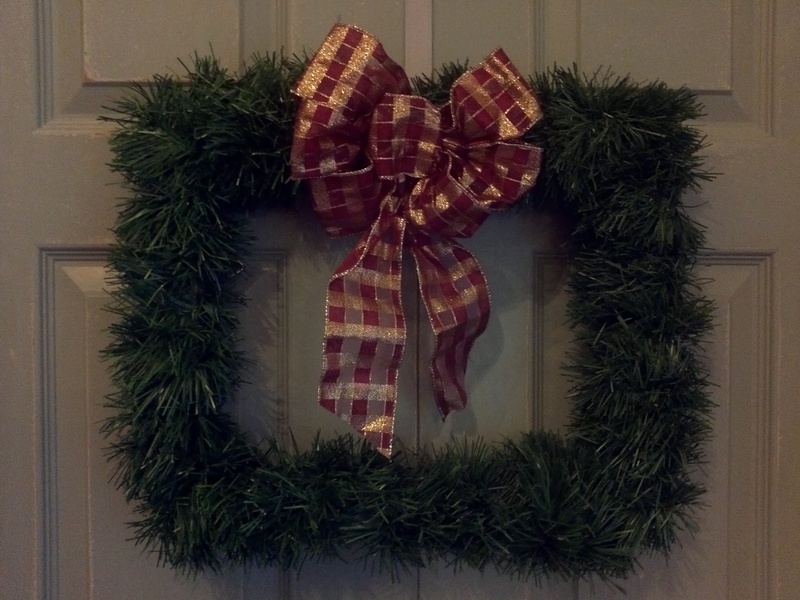 Well, it is Christmas time and I thought that I would share an insanely easy DIY holiday wreath with you. Call it rectangle, if you want. I made this baby so many years ago. Yeah, maybe time to change out the bow. 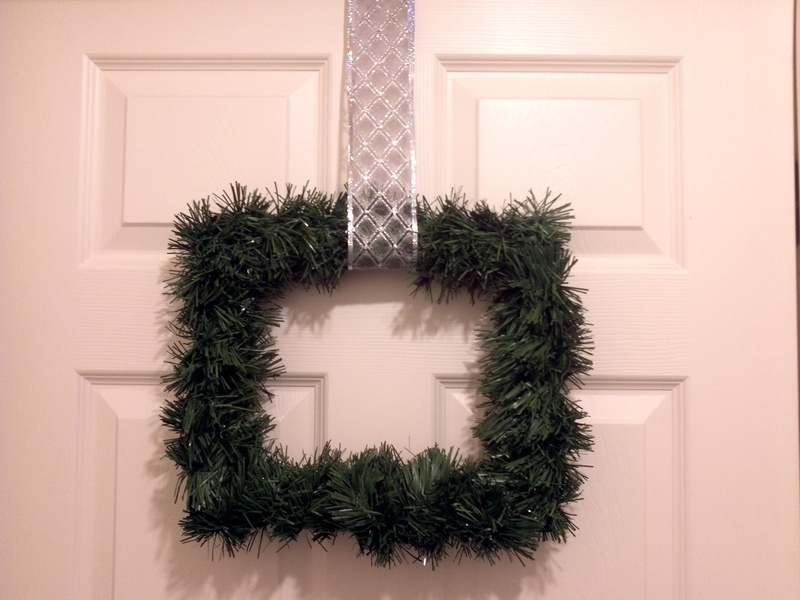 Anyway, I am going to show you how to make a square wreath. 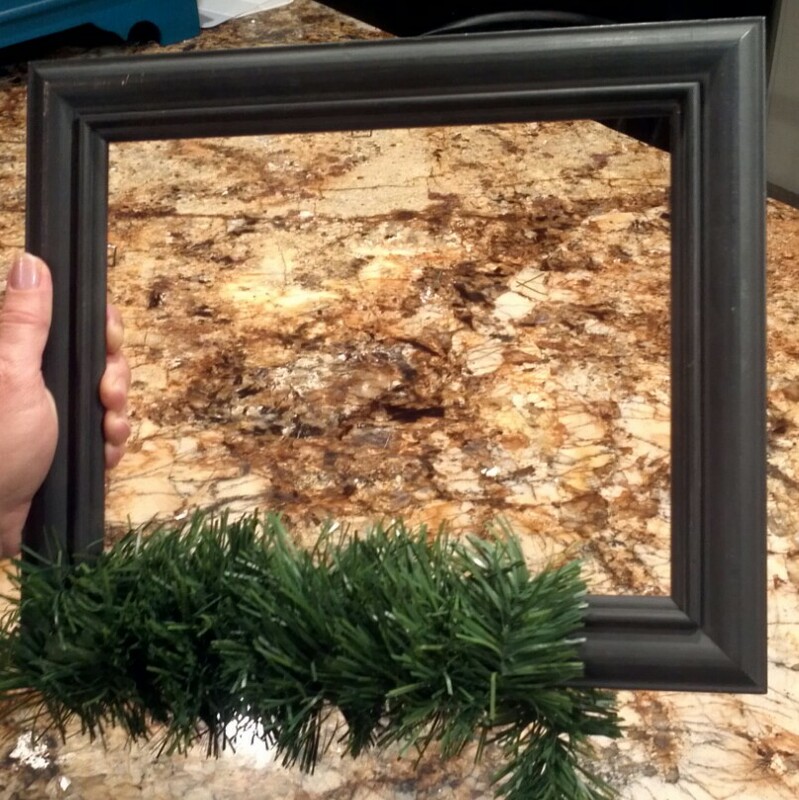 You just need three things: a frame without glass, cheap-o greenery garland (mine was 7 yards long), and a glue gun with glue sticks. 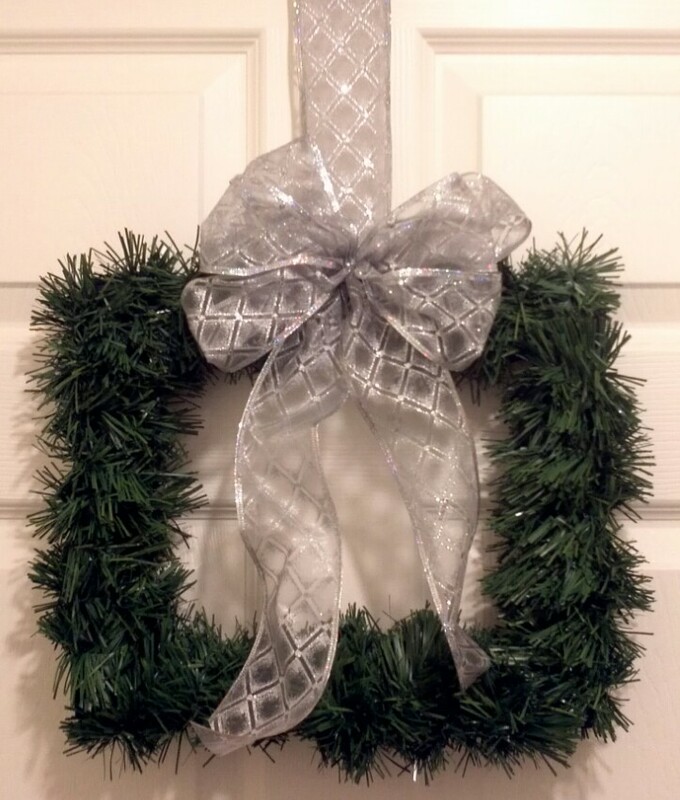 You will spend more time waiting for the glue gun to heat up than you will spend making this wreath. 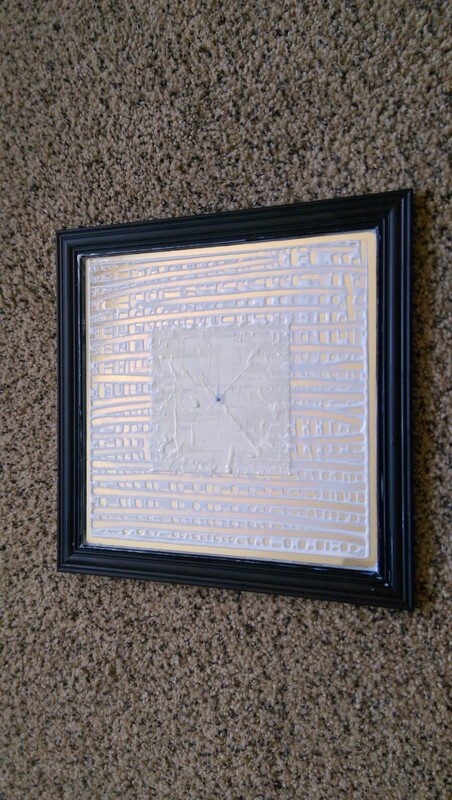 Once it does, put a little dab of glue on the back of the frame ( I like to start in a corner) and then start wrapping. Don’t wrap too tightly because you will want to manipulate it around until the whole thing is uniformly covered. Then hot glue the end to the back. Ta-dah! And this is where it stays…for now. What do you think? Is it hip to be square? I know that you all know how to paint, so I won’t bore you with all of the details, but I will note that instead of using brush strokes I just pounced the brush up and down. I did a couple of heavy coats. 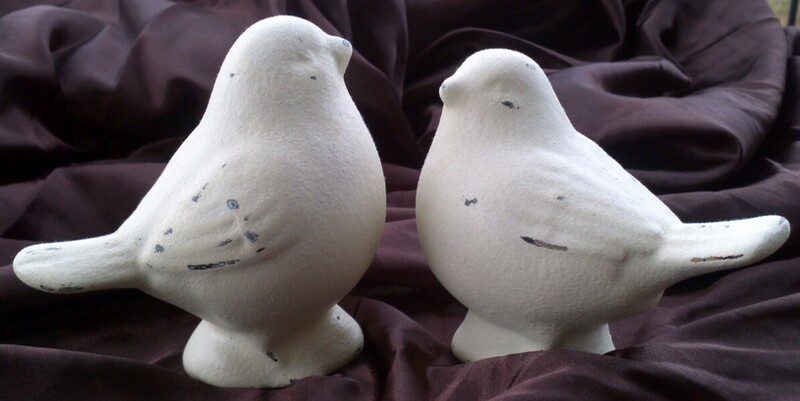 I wanted this pair to look like painted iron that had chipped a bit. Once the paint was dry, I gently sanded them. 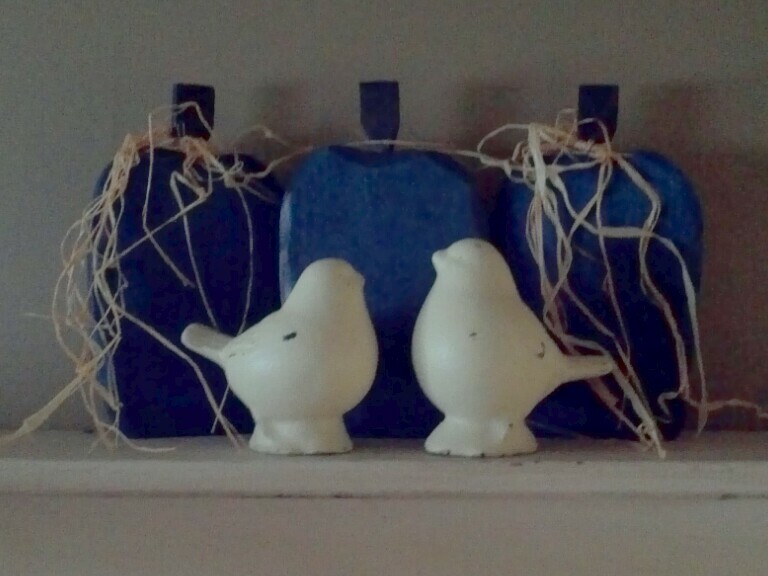 Just a buff with a little wax (to be honest, I just used regular Minwax) and these little birdies were done. Yep, you can see a touch of the original colors peeking through if you squint really hard, but I kind of like that. Not bad for a couple of bucks and about 10 minutes of my time, don’t you think? Hmmm, maybe it’s time to hit up the ceramic figurine section at Goodwill. Are you thinking what I’m thinking? 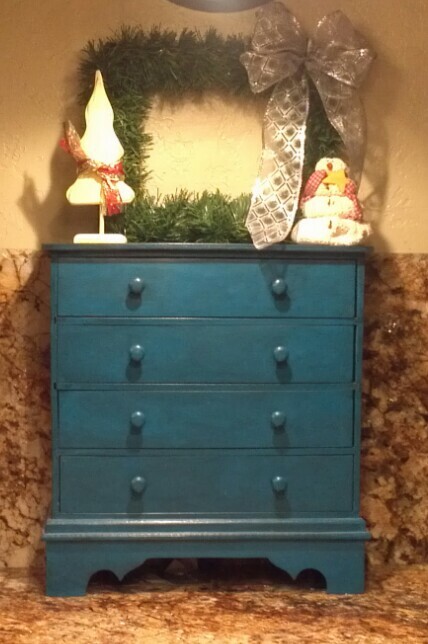 As I continued to walk around Dollar Tree I found the turquois bow/ribbon (also pictured) in the giftwrap section. 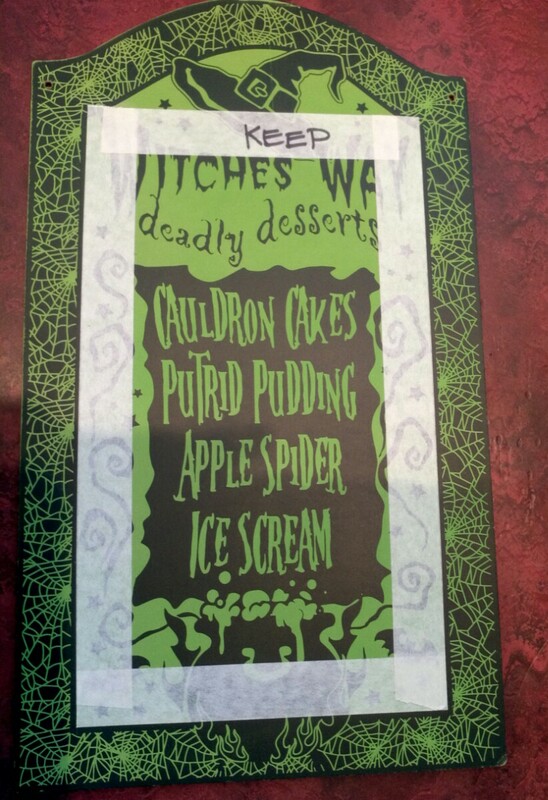 (Oh, just ignore the ivy-looking foam stamp in the bottom corner of the above pic… I decided to nix my idea for that. Maybe another time.) See where I am going with this? No? OK, keep reading. 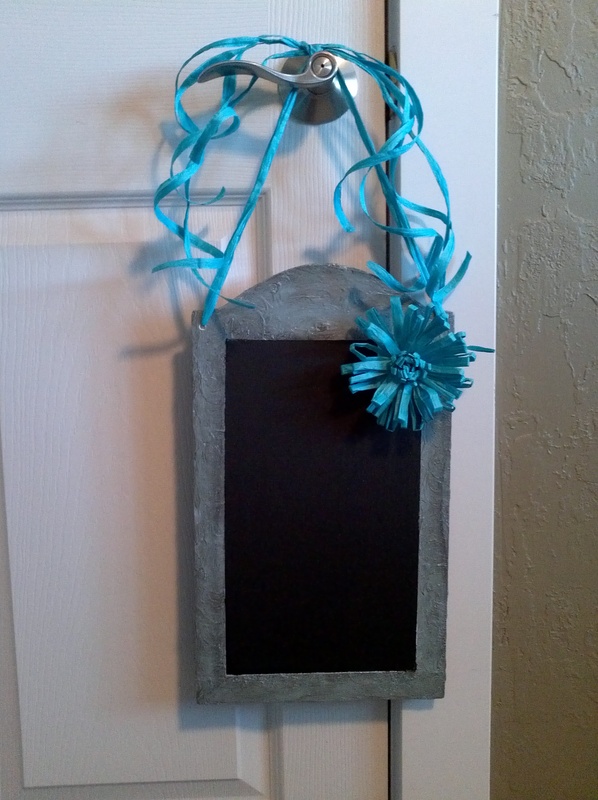 I have always loved chalkboards and figured that this would be a great shape for one and remember…just one dollar! Wanna see it, now that it is done? Do you want to know how I did it? First let me tell you the supplies that you need: Black chalkboard paint, joint compound (there is likely some in your garage right now…if not, go ask a neighbor- you don’t need that much), masking tape (painter’s tape is preferred), your choice of paint color for the “frame”, Minwax stain (optional)- I used Ebony, chalk, paintbrush, scissors and, of course, the plaque and decorative bow & ribbon. Oh, just a suggestion; some of the Dollar Tree plaques were kind of bent, find a straight one if you can. Got it all? Let’s go! First of all, this plaque has great guide lines, making the taping off process really simple. Use those lines and tape as shown below. 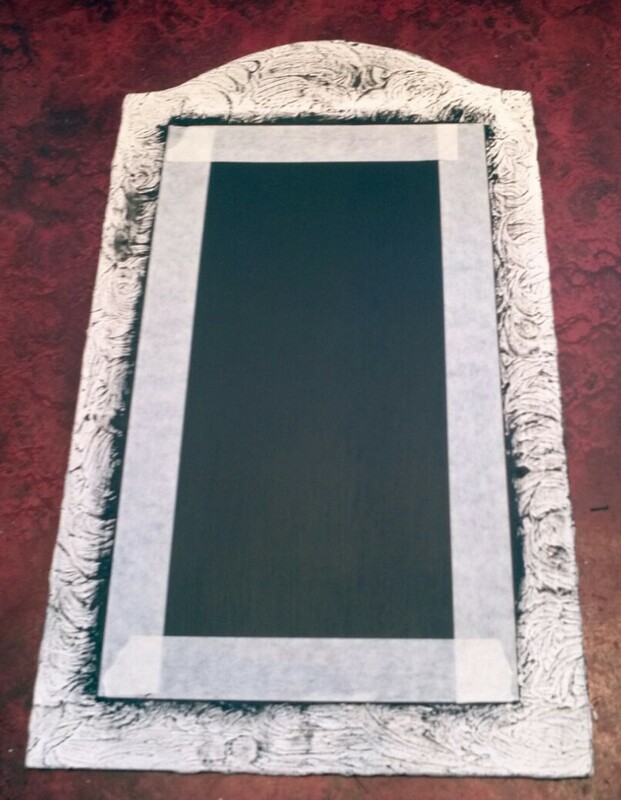 Since I didn’t want an arch on my chalkboard, I used the top edge as a reference point for leaving a frame border. Note the tape that says “Remove” that I put along the top. Just under that I added another piece of tape, the one that says, “Keep”. 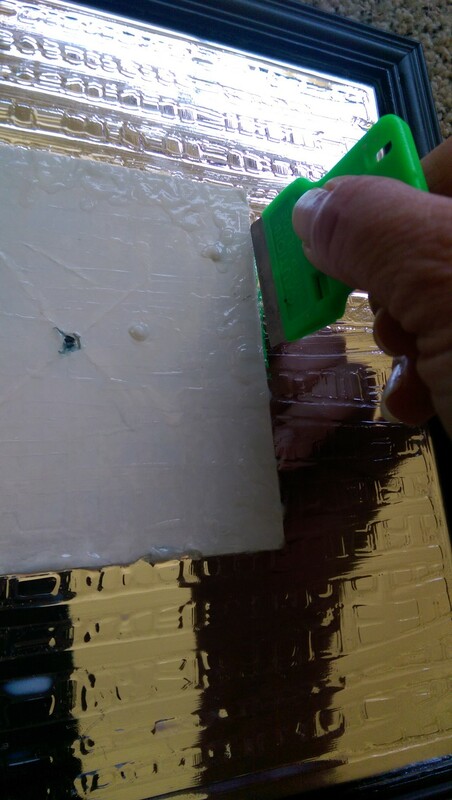 Once that one is in place, remove the top piece of tape, as shown. Now, for the fun part. 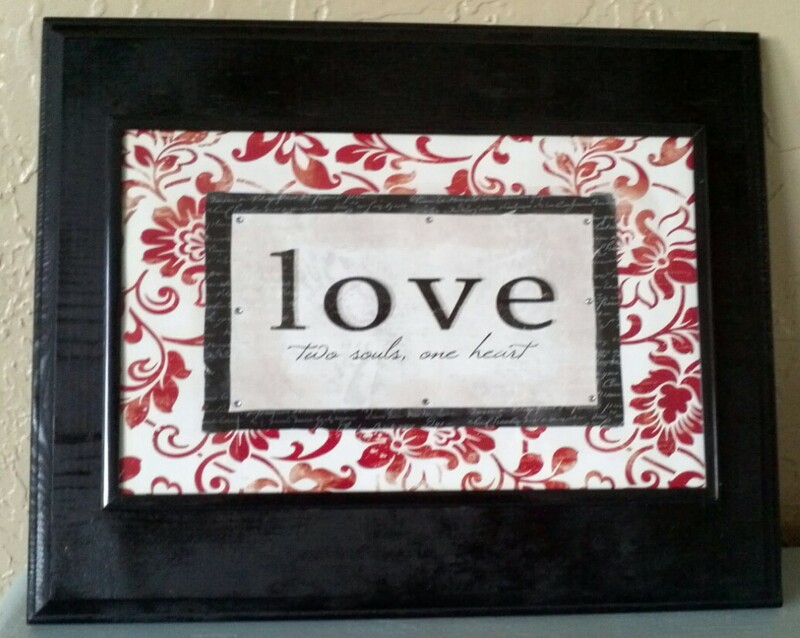 Spread a thin layer of joint compound outside of the tape line to form a textured frame. I had planned that I would use the foam stamp to create texture, but decided that I am probably the only human on the planet with that exact stamp and nobody would be able to duplicate it, so I just used my fingers to form a random swirly texture. Kind of similar to frosting a cake…except with your fingers. Don’t worry, this stuff washes off of your hands and surfaces really easily. Before the joint compound dries, remove the tape. It should take less than 30 minutes to dry. The edges will be all messy, but this is an easy fix. Break off the larger chunks of dried joint compound and then wet your fingers to “sand” the edges smooth. Super easy. If you feel like the surface is too harsh looking, you can also go over that with your wet fingers. Easy. 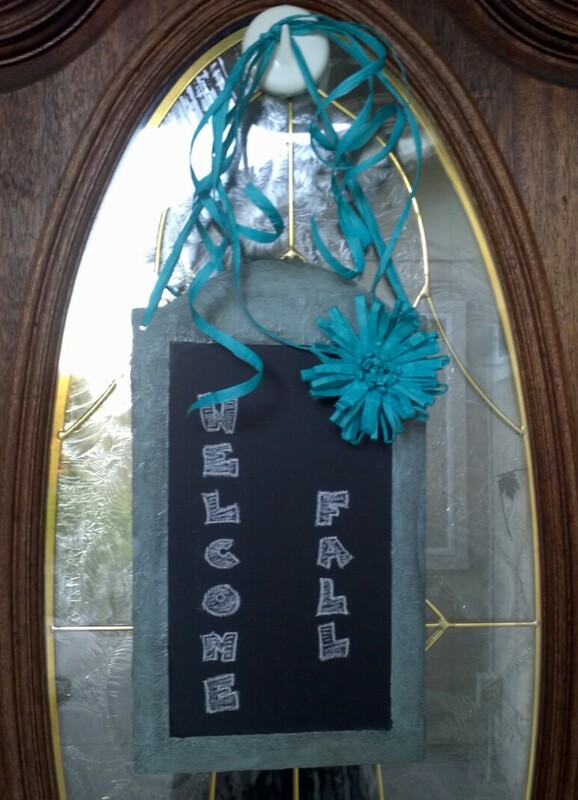 Next step, paint the center of the board with chalkboard paint. 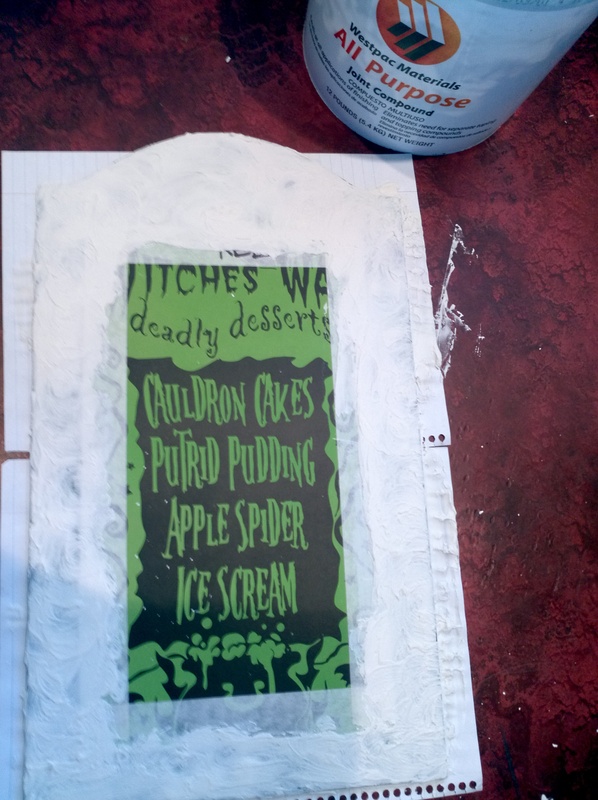 Don’t tell anyone, but when I do small projects like this, I use a hair dryer to speed up the drying process. I once called a paint manufacturer to ask if it was ok to do that and the guy told me some mumbo-jumbo about the paint chemical reaction blah-blah-blah and it is not recommended. Well, so far, so good. The Paint Police haven’t come and taken me away yet. 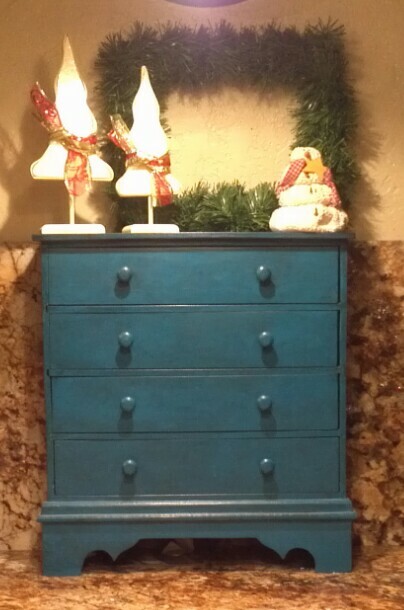 I painted two coats, and with blow drying in between, it only took a total of less than 5 minutes before I was ready to paint the outside edge of the frame. 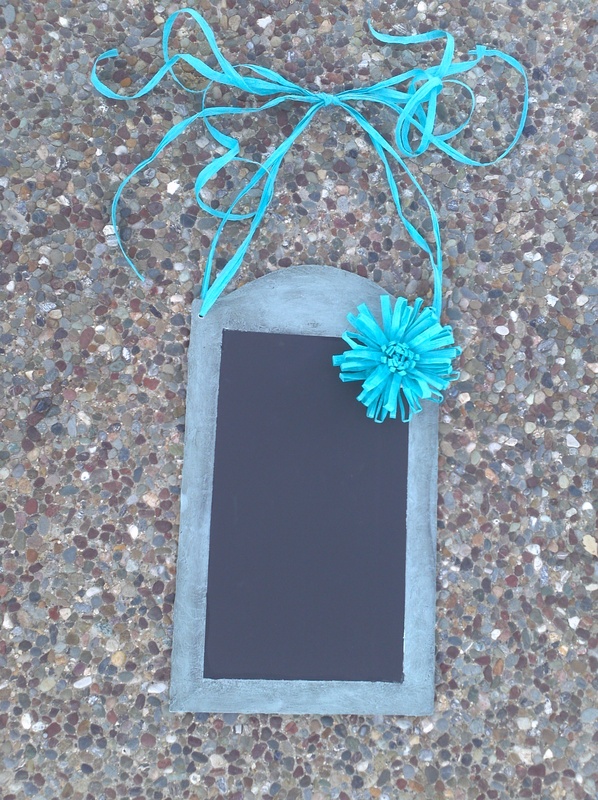 I wanted you to be able to see the texture, so I dry painted the “frame” with the chalkboard paint so it could show up in these pics. Next step, re-tape the edge, in the same places as before, right on top of the just painted chalkboard surface (this is why painter’s tape is preferred… the adhesive isn’t going to pull up the mostly dry chalkboard paint. Hey, I’m impatient!). This taping process is pretty easy since the joint compound formed a bit of a “lip”. Now, paint your chosen framed color. I just did one coat, but you can decide whether yours needs another or not. 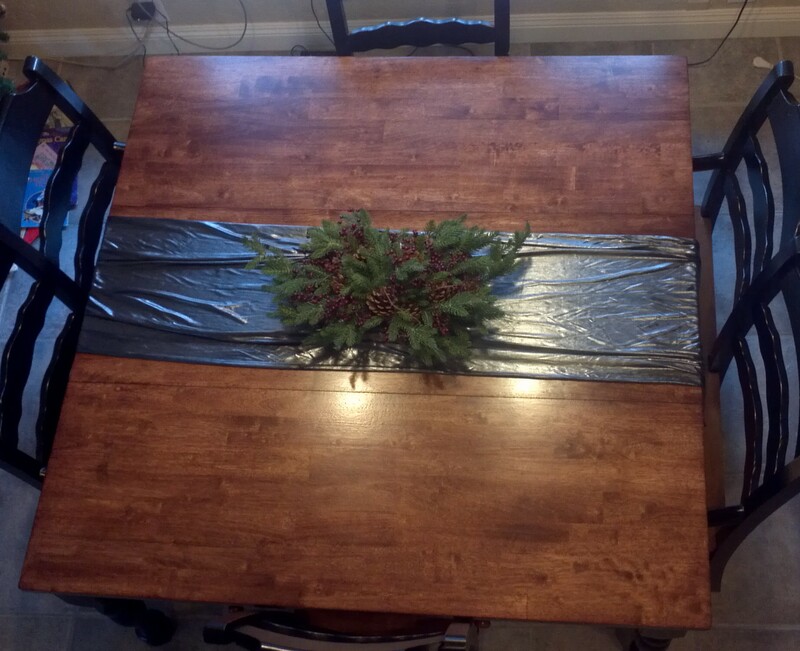 For the look that I wanted, I added a bit of Minwax Ebony stain. I like how it changes the color and makes the textures pop out a bit more. 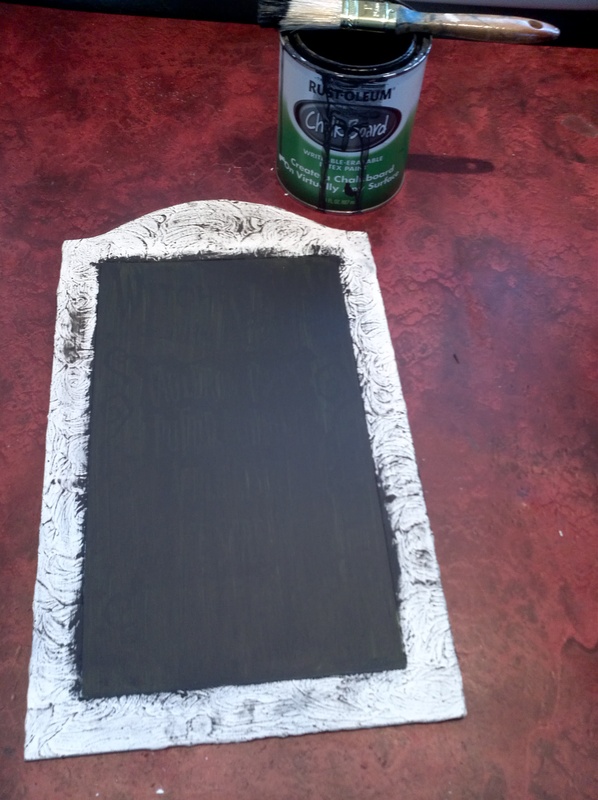 You can use a wadded up paper towel to sop up extra stain if it gets darker than you want it to be, then remove the tape. After leaving it in the sun (I’m impatient, remember?) for an hour or so I was ready to finish it. Since the joint compound covered up the original holes. I had to uncover them by poking through from the front of the frame towards the back. Ribbon came next. I could blah- blahabout how I did it, but I know that you can figure it out. Suffice it to say that mine is a double layer ribbon hanger with extra bits of ribbon tied in a knot at the top to make it more frilly. 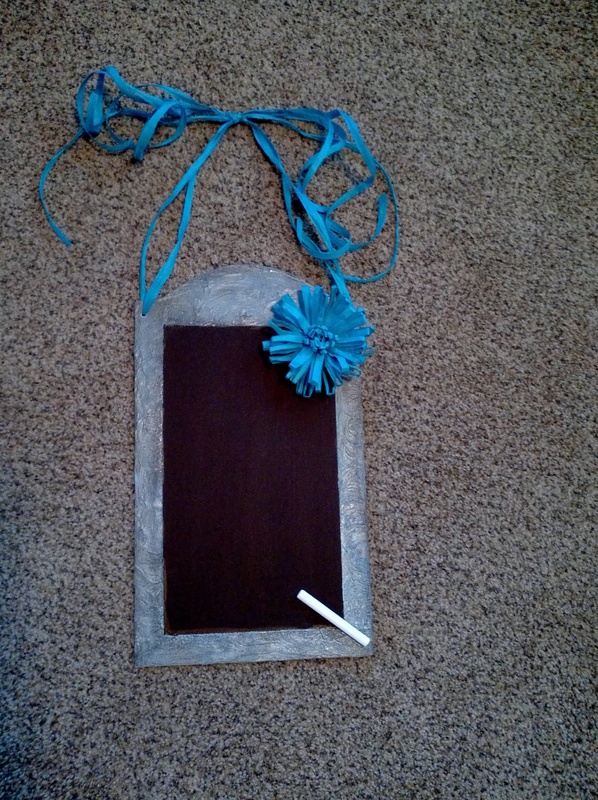 Lastly, I hot glued the ribbon bow to the chalkboard to up the WOW! factor. So, here it is, hanging on my door. What do you think? In my next post I will let you know how I did my lettering. D’ya like it? This wordy-wordy detailed tutorial may disguise the fact that this project is actually very simple to do. And, let me remind you…it is a super CHEAP project! 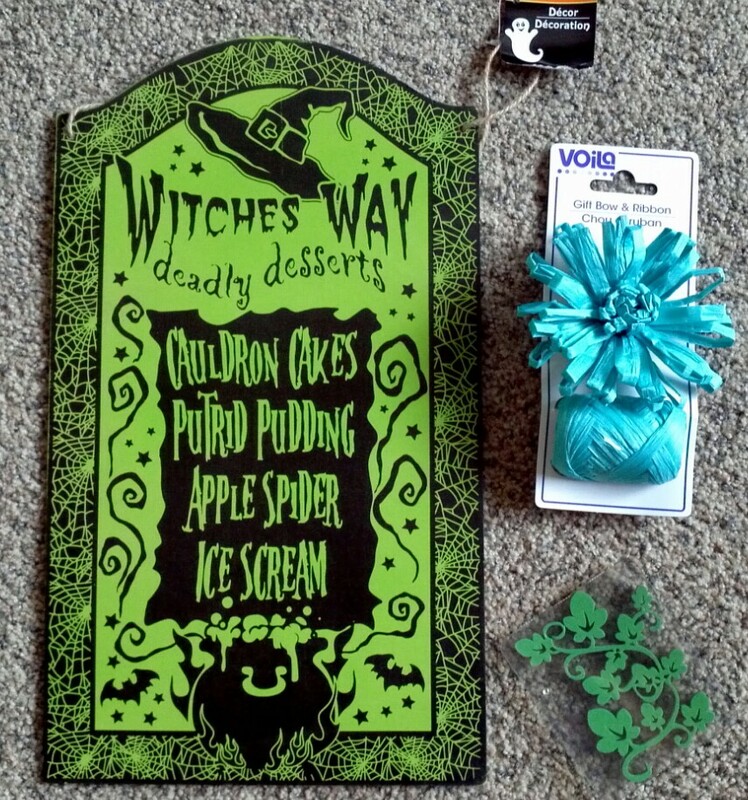 Run down to Dollar Tree right now while they still have their Halloween plaques. Christmas is coming and these will make great gifts! Stay tuned for the porch reveal!